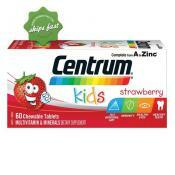 Looking for a health care product for your child? Use the Navigation on the left hand side to find the right product for you.Prices are Inclusive of GST (sales Tax). 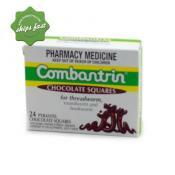 Combantrin Chocolate Squares are a chocolate flavoured tablet that treat multiple worm infestations with one dose, including threadworm, roundworm and hookworm. 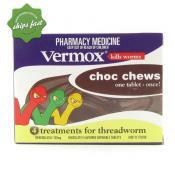 A highly effective treatment against threadworm, Vermox Chocolate Chews are a one-dose preparation that are easy-to-take and come in a delicious chocolate flavour. 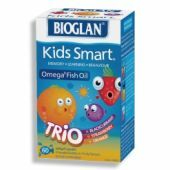 A kids supplement rich in omega 3's DHA and EPA made especially for kids who are not getting their daily nutritional needs. Kids do not always get the vitamins and minerals they need for their diet. We stock a range of kids multivitamins along with products specifically for children's mineral deficiencies and nutritional support. Not sure what your child can take for a cough of cold? Check out the children's cough and cold section for a number of cough medicines, cough drops, throat drops, tablets, syrups and options for ing kids cough and cold. If you are not sure what is right for your child do not hesitate to give us a call. the irritation chicken pox cause with our range of chicken pox products. We have bath soaks and oils to help reduce itchiness and sooth the skin and Products to reduce the appearance of scars should itching hands get the better of your child. annoying head lice with a range of head lice products. Everything from lice combs and solutions to natural head lice ments, sprays and repellents. Not only can you your child's head lice you can also take preventative measures if there is an outbreak at your child's school. 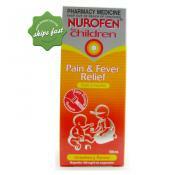 child's aches and pains using tablets and syrups available from your pharmacy. Not sure which products are suitable for a child? 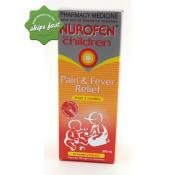 Learn more in the Kids Pain Relief section or give us a call and talk to one of our friendly staff. Has your child got hayfever? itchy red eyes? Irritated skin? Child allergies can be frustrating... but there are a number of great allergies products on the market. 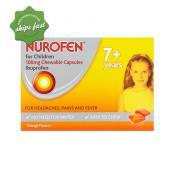 Browse our selection or talk to one of our friendly staff to find out more about our child hayfever products. 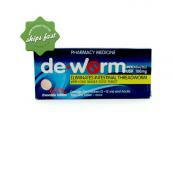 Grab worming tablets or solution for de worming your child or family. We have products available in single doses or family packs to suit your needs. Get great bathing and skincare products for kids. From sensitive skin to bath and shower gels. We also have great themed bath toys which make great gifts. Need a sunscreen gentle enough for your child's skin? Want something waterproof for an active child or waterbaby? Check out our range of childrens suncare products.